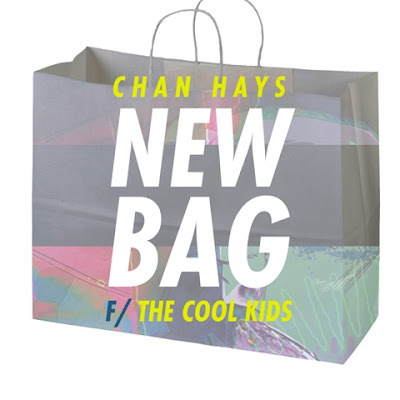 ChanHays the kool kids New Music: ChanHays f/ The Cool Kids "New Bag"
New Music: ChanHays f/ The Cool Kids "New Bag"
Yep, you guessed it; we’re mentioning all that because ChanHays is a Halifax native who was a part of that scene with his group Something Good in the early ’00s. He eventually left the group with the goal to spread out and work with heads from all over. And that is exactly what he did. On top of working with some of the best MCs Canada’s East coast has churned out (Saukrates, Ghettosocks, TaiChiChi), he went and got a who's who list of our favorite true school MCs from across the US for his upcoming album, Here. There are so many dope names, I can't list them all, I am just going to hit you with the impressive tracklist below. Today, Mass Appeal premiered “New Bag,” which features the in-demand duo of the moment, The Cool Kids. If you didn’t know, Chuck Inglish and Sir Michael Rocks dropped their reunion album last Friday and it shot straight to the top of the iTunes Hip-Hop Chart. The Kids play their part and kick lavish raps with as much nonchalance as humanly possible.